It’s not unusual for restaurants or other public buildings to be smoke free – either voluntarily or by state law – to protect nonsmokers from secondhand smoke. But the secondhand-smoke problem persists in private homes where each family sets its own rules. While the family smoker sometimes is banished to the patio, that’s not always the case. And if the smoker is filling the house with fumes, the health of everyone who lives there could suffer, according to the federal Centers for Disease Control (CDC). That’s why getting the smoker in your life to quit could be the best New Year’s resolution you come up with for 2016, says Dr. Gregory L. Jantz, a mental health expert and certified addiction specialist who is the founder of A Place of Hope, a counseling center near Seattle. Since 1964, about 2.5 million nonsmokers have died from health problems caused by exposure to secondhand smoke, according to the CDC. 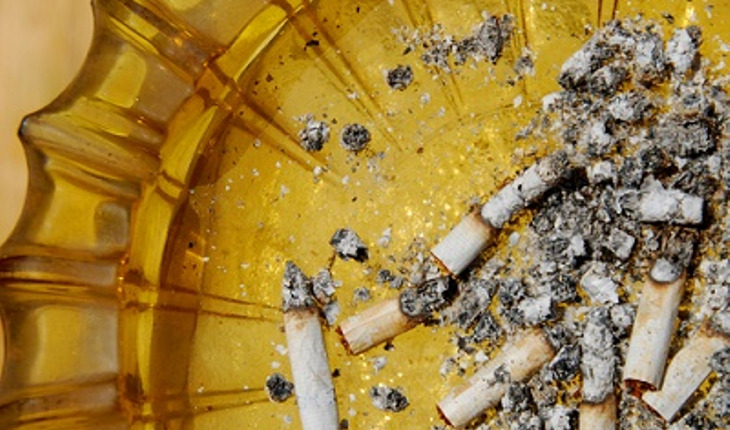 In children, secondhand smoke can cause ear infections; more frequent and severe asthma attacks; respiratory symptoms, such as coughing, sneezing, and shortness of breath; respiratory infections, such as bronchitis and pneumonia; and a greater risk for sudden infant death syndrome, the CDC reports. Adults who never smoked also aren’t immune to the effects of secondhand smoke, the CDC reports. They can suffer from heart disease, lung cancer and stroke. The good news is that secondhand-smoke exposure has decreased over the years. From 1988 to 1991, about 88 percent of nonsmokers who were tested showed evidence of being exposed to secondhand smoke. That had dropped to 25 percent by 2011-12, the CDC reported. “That’s a move in the right direction, and it would be great to see that percentage continue to drop,” Jantz says. The organization Americans for Nonsmokers Rights recommends posting a sign on your front door to notify visitors that your home is smoke free. The group also suggests you let all caregivers and babysitters know that they are not to smoke in or around your home, and that you request any smokers who live in the house to smoke outdoors, away from entrances and windows. Recognize that the smokers in your life face a difficult task if they try to quit, Jantz says. Encourage them to gradually wean themselves off the cigarette habit. Various products on the market can help, such as nicotine patches, though the success rate isn’t high. Smokers can also try a product that has a higher success rate and doesn’t require nicotine replacement, such as NicoBloc (www.nicoblocusa.com), a solution that is placed on the cigarette filter and blocks most of the tar and nicotine intake, allowing the smoker to quit over time. NicoBloc also reduces the amount of secondhand smoke from the cigarette. Don’t stop with just the house. You also can make any family vehicles smoke free, further reducing the time family members might be exposed to secondhand smoke.